Relying on our expertise in this domain, we are into offering Printed Card. As a renowned organization, we are engaged in manufacturing, supplying as well as exporting a wide assortment of Pre Printed Cards in India. The range of cards is designed and printed by making use supreme quality of material taken from industry reliable sources. 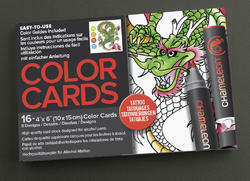 Our offered range of cards is offered in customized specifications that too at industrial leading prices. Enriched by our vast industrial experience in this business, we are involved in offering an enormous quality range of Printed Card. We introduce our business as a notable entity of qualitative array of Radha Krishna Printed Cards.